KW Designs Photography Lakewood - Littleton, Colorado | Photographer - NEW 2019 Studio Glitter birthday sessions. 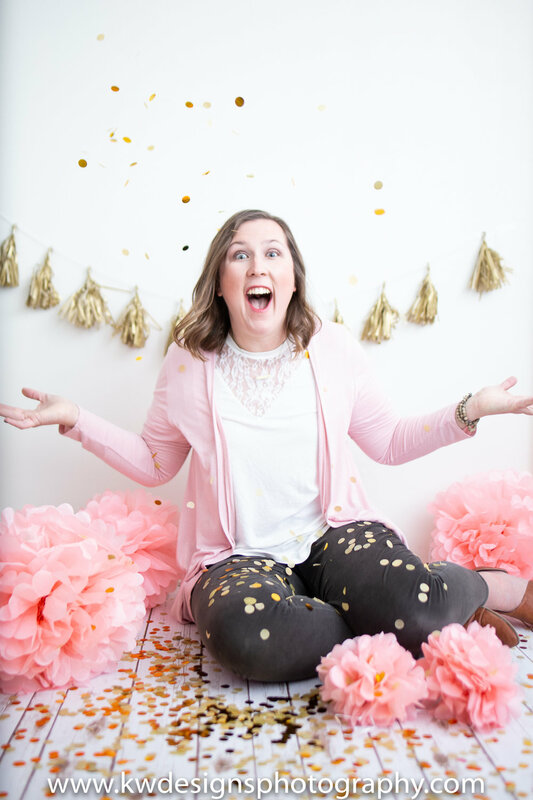 Lakewood - Littleton, Colorado | Photographer - NEW 2019 Studio Glitter birthday sessions. Lakewood - Littleton, Colorado. NEW Studio Glitter birthday sessions. Happy new year KW Designs Photography fans! I am excited about 2019 and ushering in the new year with NEW styled sessions, IN STUDIO! These sessions are designed to be a real treat for YOU in 2019! So go on and, treat yo self! This particular session with Ms. Holly was for a very fun 30th celebration in life! Pink and white iced vanilla cake paired with rose champagne! Soft pink, gold, and white was the color scheme. Along with a lot of chunky confetti and little touch of “Christmas” we spent about an hour in celebration mode. This studio session was full of laughter, life, and celebration. Because, of course, it perfectly matched Holly’s vibrant personality! I mean, who doesn’t want a mini cake and champagne session for their birthday with a private photographer? Holly told me she loves Christmas and her name is not a coincidence, as she is a December baby. 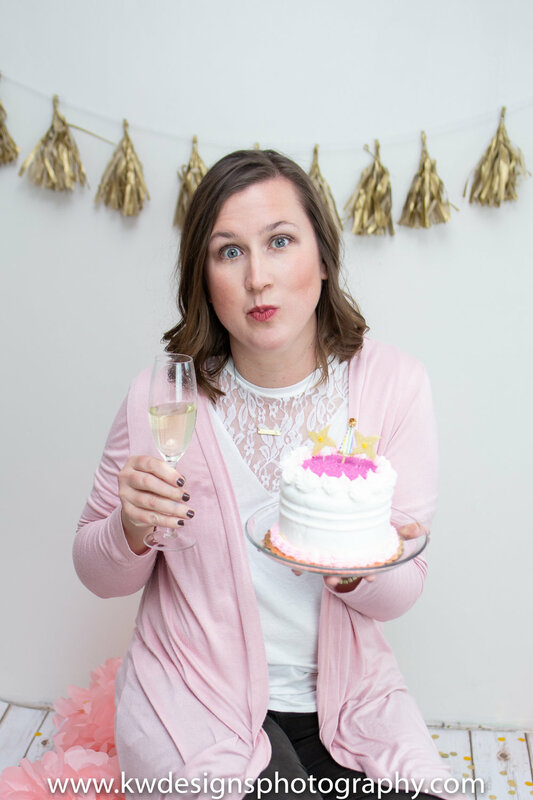 An adult birthday theme photo session includes cake and your drink of choice (bubbly or not, what ever you want!) and an hour and a half of studio time. I of course, enjoy celebrating with you and keeping the conversation and music going so we create natural smiles, expressions and fun. Personally, my birthday is my favorite celebration of the year. And I feel like adults DO deserve to celebrate too! I offer regular cake smash sessions for children, but I wanted to reach out to adults too. Life is tough and sometimes hard to navigate. Why not give yourself a reprieve and have a little fun on your birthday? To book your private birthday photo session, email me at kwdesignsphoto@gmail.com, or contact me through my website at www.kwdesignsphotography.com. -Cheers to 2019 ~ and your birthday!